All drivers are required to install ELD devices for trucks (source). If you landed on this blog, you are probably looking to get yourself a new device or replace the one you currently have. If you are still asking Why Should I Get An ELD Device check our other article. ELD technology is continuously being developed and changed; therefore there are many kinds of electronic logging devices available in the market today. Some of them include more features and some are cheap ELD devices. 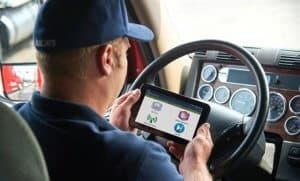 In this article, we take a look at the best and cheap ELD devices options out there to help you comply with the ELD Mandate and avoid HOS violations (source) that come with some hefty penalties. The Mandate was approved in the US in December 2017. The Canadian Trucking Alliance wants the ELD compliance in Canada to be enforced by fourth quarter of 2019. Existing ERD’s are expected to be permitted in Canada until 2022. In addition, we will answer the following questions: Which are the best and cheap ELD devices? which ones are most affordable and which units are best for owner operators? Forbes named KeepTruckin ELD among the top 100 Cloud Companies in 2018 for top-notch driving innovation. You can rely on products made by this company as they are FMCSA certified. Their cheap ELD devices provide you with the simplest, most affordable way to become compliant with state laws. The KeepTruckin electronic logging device provides monthly pricing, which is similar to most ELD units on the market. It features fuel monitoring and geofencing to allow you to remain safe on the road. There is no upfront cost, this cheap ELD devices offer you monthly instalments of just $35 which you must pay to them over a contracted period of 3 years. KeepTruckin cheap ELD devices are probably the most accessible electronic logging device in the globe. It comes with a simple, contemporary and user-friendly app. This app lets you edit driver logs and duly status hassle free. Some drivers say that using the outdated Keep Truckin app without an eld attached to the vehicle lets truckers cheat on their e-logs. The driver can change the past duty status. The manufacturers have made an ELD cheat sheet that demonstrates how to avoid electronic logging device violations. The app has a DOT Inspection Mode that is very straightforward to use. The tracker can easily show the police his log history data without experiencing problems. KeepTruckin assures truckers that they can use their ELD devices to take photos in case they are involved in an accident or other similar situation to help with insurance claims. Pictures taken can be sent to enforcement officers via the app. Apart from the standard features seen in almost all ELD devices, KeepTruckin has input some modern day features to their ELD devices like engine diagnostics, fuel monitoring, geofencing and tampering alert system. More advanced features than many other eld devices. Pictures can be sent via the app to dispatch for insurance purposes. The installation process is easy. Smaller fleet companies have to pay an upfront cost for the 1st year. Buyers need to sign a long-term contract. 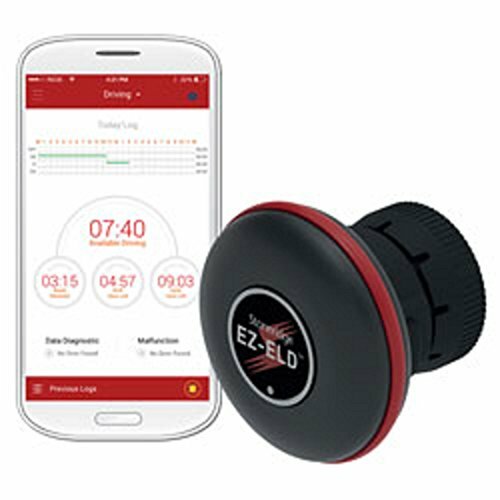 Keep Truckin ELD devices are easy to install and come with a user-friendly app that allows the driver to view driving logs and status easily. In general, it is a great device to help you comply with the ELD mandate and avoid getting into trouble. For more information about Keep Truckin ELD, check our post here. Garmin eLog ELD is famous for making high-quality technology for data recording, data sharing, GPS tracking and vehicle navigation systems. It is a leading company in the field of producing integrated top-notch electronic logging devices for truckers. Their devices are more likely to cost more as they come wholly loaded with efficient software, without the requirement for additional costs or subscriptions. Garmin's ELD unit is top-rated as it offers a superb eld choice for drivers. It has integrated software and quality premium features. Many truckers consider it as among the best eld choices to use on the road, and there is no need for added fees. The Garmin eLog is compatible with any regular 6 or 9 pin port. Installing it is very straightforward, and it starts to function as soon as it is plugged in. It's compatible with many other devices manufactured by Garmin, and its proprietary software lets you connect the electronic logging system to a tabled or smartphone that has GPS navigation. The manufacturers have made this device to last. It weighs 2.5 ounces, has a cylindrical shape, and has a sleek black casing. You can access information on your eld using a USB or via Bluetooth. Garmin eLog is compatible with a wide range of Garmin devices. As a result, the trucker can get personalized data updates and reminders via an app. This eld comes at an average cost of $249.99 via the Garmin website, it is not a cheap ELD devices but sometimes it is worth it to have more features. Hours of Service (HOS) recording is compliant with FMSCA mandate on ELD devices. Garmin eLog time sheets and information format meet the standards required by FMSCA. Enforcement officers and fleet operators can view the data logs through Bluetooth or USB. The driver can also present the timesheet data using the Garmin eLog app on a smartphone. Most of the data including engine start time and resting duration are recorded automatically. This makes it easier for the driver to present data logs easily to safety officers. This ELD from Garmin is your basic solution to ensuring you follow FMSCA laws. You purchase it, install it, and drive your truck. There are no subscription fees, it is a cheap ELD devices. Free Garmin eLog app gives easy access to data logs. 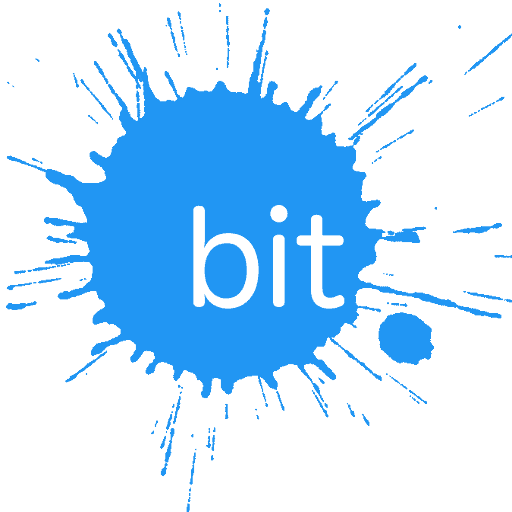 One-time purchase, no monthly fees. Fits in both the 6 and nine pin diagnostic ports. Customer service hours are limited. Incompatible with Fleet Management software. The Garmin eLog is easy to install and carries no subscription fees. 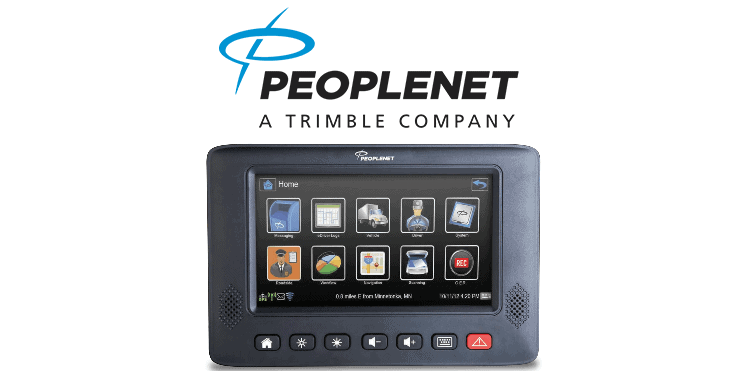 It is a well-built electronic device that is an excellent buy for fleet companies. However, it does have some downsides like unclear technical specifications and inadequate FMS compliance. Stoneridge Inc. Started in 1965 as a producer of auto devices in Ohio. The company has expanded its services to 15 countries and is now based in Michigan. They understand the importance of being compliant with HOS rules; therefore they are committed to delivering extraordinary products for vehicle owners. Stoneridge EZ-ELD device offers you control over FMSCA compliance requirements, to allow you to carry on with your work in peace. Installation is quick and straightforward, and you have a stress-free and secure time with this high quality device. The manufacturers have over 50 years of experience in making products for the automotive market, so you know you are getting a great device. As we saw earlier, Garmin is a popular manufacturer that deals in a wide range of services. On the other hand, Stoneridge is a company that focuses more on fleet management systems and CMV tools. This company knows the needs of both the fleet owners and the truck drivers. As a result, Stoneridge makes the process easier for fleet operators to access, duplicate, store, and edit data as needed. Furthermore, the office teams can send information logs to every EZ-ELD device directing given that the devices are online through the Apple/Android app. The app that comes with this eld is entirely functional and can store, distribute, and showcase files for up to 1/2 a year, and display time-sheet data for up to one month at a time. Stoneridge’s internet resources are clear and beneficial. Their website features manuals, FAQs, and training materials, which are more extensive compared to Garmin website. Moreover, Stoneridge provides free reporting on DVI (Driver Vehicle Inspection) and IFTA (International Fuel Tax Agreement). The EZ-ELD costs $169. To use their proprietary software requires some monthly charges of $15. Their software does help to save company costs that would be spent in extra man-hours taken in filling forms, submitting documents, and exchanging data, but the cost of the device is still higher than that of Garmin cheap ELD devices. This is because the Garmin eLog is a one-time purchase with no monthly subscriptions. The Stoneridge EZ-ELD is highly suited to the needs of fleet companies. The manufacturers have focused on achieving great technical capabilities. This eld is quite similar to the eLog. While the Garmin eLog is concentrated on trucker satisfaction, function and cross-platform functioning, the Stoneridge EZ-ELD is more extensive. Blue Ink Tech company produces high quality FMSCA compliant ELD systems that come with no monthly fees. This company is aimed at producing user-friendly features on their ELD devices to cater for both drivers and fleet managers. With a Blue Ink Bit ELD device drivers can access their driving logs recorded by the device and app. They can also conduct regular vehicle inspection and track remaining hours in their shift. Fleet operators and dispatchers can easily view working logs for all the drivers, check routes used and get notifies of any violations. The setup process is quick and easy. All you need to do is to plug in the device into the truck's diagnostic port and drive. Afterwards, connect your smartphone to the device through Bluetooth. BIT ELD form Blue Ink Tech is compliant with the regulations set by FMSCA regarding ELD devices. The fleet operators and dispatch can access the driving logs and edit or print them. The BIT ELD has essential functions; therefore it is perfect for smaller fleets, which do not need a lot of advanced functions. Those who do not want to input too much money into an ELD device. The Blue Ink BIT electronic Logging Device includes the IFTA mileage resource. It helps drivers and fleet owners to keep track of the miles taken. The fleet owners can also use this device to set up maintenance schedules for their fleets and view where the trucks are being driven while they're on the road. 12all in all, the Blue Ink BIT ELD Device is perfect for smaller fleets, which do not need advanced features. It doesn’t come with any monthly fees, making it an ideal choice as a cheap ELD devices. Though it doesn’t have many advanced features, it’s simplicity is just great. Rand McNally is a producer of maps, navigation systems and travel content. In recent times, this company has been dived into vehicle technology manufacturing. With over 160 years in experience, this company continues to produce innovative goods and services. 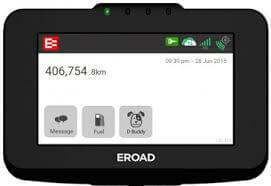 Rand McNally ELD 50 possesses many robust features. It is easy to install and lets truckers view and certify their working logs using a smartphone, tablet and updated Rand McNally gadgets. This gadget costs $149,99, which is a bit cheaper than the EZ ELD. All you need to do is to plug in your ELD 50 into a J-Bus port. Proceed to download the DriverConnect app and choose a monthly subscription plan. Pair your ELD 50 to your smart device through Bluetooth. 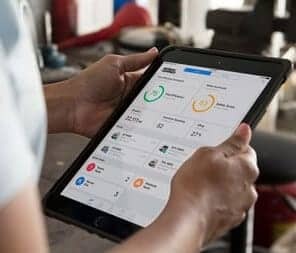 The Driverconnect app replaces the need for paper logs and offers a user-friendly interface. You can use your Android/iOS smartphone or tablet, or updated Rand McNally device to see and verify driving logs, complete DVIR reports, and switch duty status efficiently. Furthermore, you can leverage your smart phone’s cellular data to store your working logs on the Web Portal. Given that there's no internet connection or you don't have a mobile device, Rand McNally's ELD 50 will continue with recording the Hours of Service (HOS) logs. It has a capacity of storing up to two days worth of recorded data. You can only get access to the DriveConnect web portal after you have bought, installed, and connected the ELD 50 to an Android or iOS device. After installation, you can buy the web service, which comes with some monthly charges. In general, the ELD 50 seems to be focused more on the overall fleet than the individual drivers. This device is easy to install, but it can only store up to two days worth of information at a time, which is less than that of Stoneridge’s 6-month storage capacity. The ELD 50 depends entirely on the monthly software subscription to work. Moreover, if your phone is not connected during that 2-day window, then information is not backed up. This may be tricky if the driver accidentally losses his/her phone. Fortunately, if a subscription is bought, the web portal provides storage for all logs, time sheets, and metrics, which makes up to six months worth of data readily accessible from a smartphone or tablet. So it can be considered one the cheap ELD devices if you take in account its advantages. Offers DVIR report capability which stores a lot of data. The Driverconnect app is very efficient and eases access to data logs. The monthly subscription is needed to access the online portal. While there are multiple upsides to having a Rand McNally ELD 50 ®, if you choose to get this device be prepared for potentially unverified costs. The company has not been direct in availing the cost of their monthly fees, so it is best for you to contact them directly and ask for the price and consider if it is a cheap ELD devices. 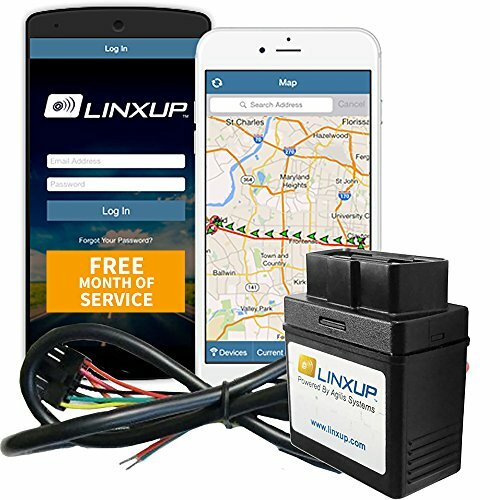 Linxup is a dedicated company that provides simple, but highly-equipped vehicle tracking systems. Their GPS Fleet Tracking service if efficient and comes at a friendly price. Given that you are in need of a complete package of GPS tracking, dynamic data plan certified electronic logging device with automatic IFTA resources, and robust fleet management systems, the LINXUP eld device may be the best choice for you. LINXUP eld is different from other devices in some ways. For starters, it is not a BYOD (Bring your own device). That means that drivers cannot sync to their Android or iOS devices the logs and then access them. Rather, it is necessary for them to buy the LINXUP tablet. The manufacturers claim that by requiring their own proprietary tablet, they are reducing the risk of noncompliance. While it may ensure compliance as well as reduce risks and heighten profits for fleets, their motive is not clear. 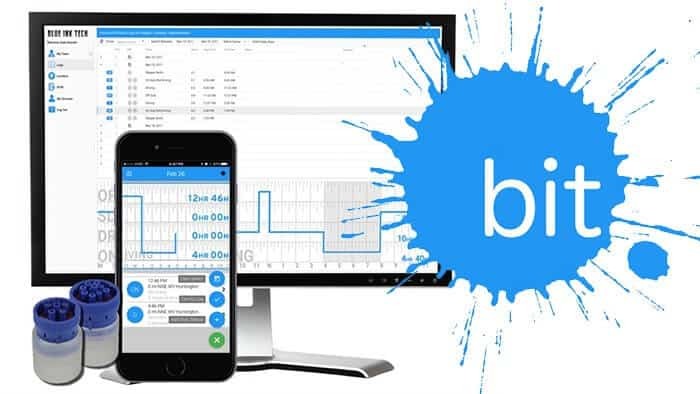 With the normal BYOD systems, typically the drivers carry their own Apple or Android smartphones or tablets to record logging data and access the time sheets and metrics. In such a case, if the driver forgets to make payments for his/her phone bills, it could lead to lost tracking information. In addition it can lead to late recording and more stress. As a result, the LINXUP integrated package takes the responsibility back to the fleet managers, ensuring that data recording takes place smoothly. LINXUP ELD has an average price of $149.99, which is equivalent to that of the ELD 50 from Rand McNally. The proprietary tablet that comes with it costs $149.99 too, meaning the overall cost is about 300 dollars. It is more costly than most cheap ELD devices we have viewed above. There's a monthly plan that offers the fleets three options. There are 3 options to choose from: there’s a $29.99 per month subscription plan which caters for the basic mandates, letting truckers share their working logs with enforcement officers. Then they have a $39.99 monthly plan that provides GPS tracking services and additional fleet management resources, and there’s a $49.99 which offers all the previous features including IFTA automatic recording resources. LINXUP is dedicated to delivering products that provide high security for the customers. Their integrated ELD and tracking services ensure that fleet managers can be able to track their resources and shipments accurately for increased security. Offers several monthly plan options for fleet owners to choose from. GPS integration offers more security. There is a need for ongoing monthly costs. Integrated systems from LINXUP increase efficiency by minimizing the probability of driver-related errors in transmitting vehicle data while easing the responsibility of the drivers so that he/she can focus on more important work. If your fleet transports high-risk or high-end goods, LINXUP is a great option. The Magellan company has its headquarters in San Dismas, CA, and offers a wide variety of fleet management services such as separated navigation systems and GPS displays. Magellan has partnered with Samsung company to make integrated systems that look very similar to those of LINXUP. Magellan's electronic logging device is accessed using a proprietary Samsung tablet. It works primarily the same manner in which LINXUP uses their own tablet to connect with their ELD systems. However, the Magellan device has BYOD capabilities unlike LINXUP as long as the device being used by the driver is Samsung. The setup process is speedy and smooth. Just plug the ELD dongle directly into your J-Bus or OBD II port. After installation, proceed to download the ELD HOS app and start accessing vital information. You need to use a Samsung device to connect to the FMSCA-compliant eld. In addition to that, you can access your Magellan ELD via Bluetooth and USB. Just like other ELD providers, Magellan claims to offer the most affordable electronic logging device and software. In their website, the device costs about $120 (or 150 dollars when DVIR and IFTA are included), which is cheaper than the cheap ELD devices mentioned earlier. They do not charge a subscription fee for the 1st year of service. After this, the monthly fee needed is $10, which is lower than the $15 monthly charges of Stoneridge. The $10 monthly service is inclusive of back-end fleet management software and compliance software for the driver. The Magellan ELD is affordable and easy to use. It is an excellent cheap ELD devices for fleet operators looking for a low-cost way to be compliant of the ELD mandate. Available for $799, or if you prefer paying for it through monthly installments then $30 per month. 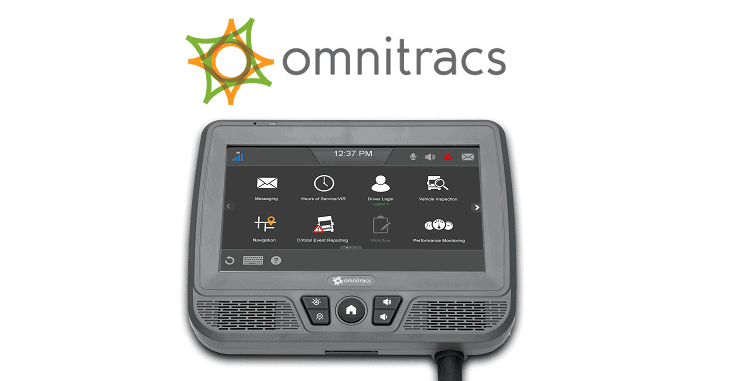 Omnitracs IVG, which stands for Intelligent Vehicle Gateway, is the leading ELD device in the market so far. It’s super easy to install; there isn’t any hassle of having to connect a million cables to a million more. It’s simple and yet gets the job done the best. Just a one device and one cable solution, that’s all there is to it.More pros of the product are listed below. The IVG has a much better decreased installation time compared to some of the older MCP units. The IVG requires some time to setup. However once once its all set up, you get a completely stable connection. It is much more sturdy as compared to the simple plug-and-play connections. There are many advanced features to the IVG . Those features were added to IVG recently. Those features set the IVG apart from other ELDS that only have standard features. These advanced features include dash cams, in-cab scanning, and tire pressure monitoring. The IVG sports New innovations. For example, drivers can stay connected to the ELD device and thereby continue working on some specific tasks even when they are away from their truck. This is done by connecting their phone to the device via Bluetooth or Wi-Fi. The IVG has voice command system.It was added to the IVG recently. This feature is very helpful for a cheap ELD devices. This feature is helpful since many truckers don't like typing (very time consuming). Using this feature, the trucker can say many different commands.. It can do so without having to take their eyes or mind off the road. Many systems feature a lot of features out of the box. However, the manufacture fails to provide timely updates. IVG by Omnitracs announced plans to turning the IVG into a personal hotspot too. They would do so that truckers always have access to WiFi. The price of My20 ELD is nearly the same as Stoneridge, with a few exceptions. The price of the actual ELD is significantly lower—only $45, compared to the significantly higher cost of Stoneridge. While Stoneridge offers one software subscription at $15 a month, which includes back-office fleet-management software, Konexial separates their service into two separate subscriptions. The initial software cost is included for the first three months of service for the basic My20 package. That means for the first three months of service, you pay only $45, and this includes the cost of the hardware itself. Compared to the Stoneridge, you save at least $124 in the first three months—but that’s only in the basic subscription. What’s Included with MY20 ELD Device? The basic subscription to My20 includes driver-only software—this means the basic subscription meets all the necessary requirements and mandates set by FMCSA. With the basic subscription, the driver can log their Hours of Service (HOS), share timesheets and data via email, print, upload, or Bluetooth. They can share this information, along with other data collected from the Engine Control Module (ECM), with any law enforcement official or management group. The My20 Tower package, by comparison, includes the full-package. This includes all the fleet-management software and resources currently available, such as live vehicle tracking and GPS, sharing of timesheets and other information through the data and app. This package costs $75 quarterly (every three months), which includes the cost of the device for the first month. At that rate, the difference in cost between Stonebridge and My20 for the first three months of full ELD and FMS is $139, with Stonebridge being slightly more expensive. However, because Stoneridge and Konexial have different subscription prices. Annually, Stoneridge costs only $150, while Konexial costs $300 a year, a difference of $150—which actually leaves Stoneridge cheap ELD devices in the leave for cost-effectiveness, at least in the long-term. Three years’ subscription with Stoneridge will save you a total of $311 over Konexial—and that’s just in subscriptions. There’s a couple things that both Stoneridge and Garmin have that Konexial just doesn’t. 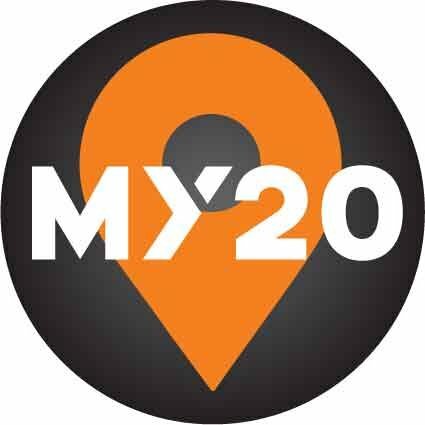 My20 relies solely on your exterior devices Bluetooth abilities to relay and transmit information. This means that the My20 does not have an exterior USB port. This seems like a significant oversite. In the event that you need to share timesheet data and vehicle information with law enforcement, but your phone is dead or recently damaged, then sharing the data with the police officer would be a bit harder (but not impossible). Whereas, both Garmin and Stoneridge give you backup solutions for sharing. Note that FMCSA does not require both Bluetooth and USB for data sharing—it’s just nice to know that some companies took the effort to include it anyways. My20 only provides support for standard 9-pin connectors, forcing you to either buy an adaptor from their site or from a third party. Garmin supports both 9 pin and 6 pin connections, but requires an adapter for 16 pin adapters. Of the three, only Stoneridge’s EZ-ELD subscription includes adapters/support for 9, 6, and 16 pin connections, saving you more money in the long run—up to $90 dollars, depending on if you ever need to switch vehicle and take your ELD with you. And of the three, only Stoneridge offers free monthly reporting (Garmin soon to follow) for IFTA and DIVR. It can’t get any better than this. The Display.4 is hands down the best ELD there ever was. But it comes with a huge hefty catch: a price tag of $1199. At such a staggering price, many shy away from buying it. But still, the product has a huge customer base because of all the amazing features and quality it offers. The company is one the oldest there are, and has been around since 1994. Since then, it has established itself as the leader in the market. Their products are trusted by all, and never have they failed to live up to the great name. Despite being such a huge company, the product itself is simple and easy to use. The menus are straightforward, the touch screen is easier to handle as compared to all other brands. The tablet has an all-time low failure rate. Display.4 offers standard features along with a messaging function as well. However, the devices features many advanced features. Those features are engine status monitoring and tire pressure check. In addition, the device aids the driver with keeping an eye on the fuel consumption. Finally,Speeding and safety alerts can also be set up. The main advantage the PeopleNet platform has is diverse system configuration. Further, it allows you to match your entire fleet’s needs by using their system configuration. If you are still not sure which ELD Device to chose, fill out the form below and get a free consultation to assess your specific needs. Samsara ELD device is a new entrant into the ELD market when compared with Garmin and Rand Mcnally ELDs. However, According to drivers and owner operators , Samara ELD Device review is by far on of the best ELD (Electronic Logging Device) out there. This ELD device is considered one of the most versatile electronic logging devices available on the market right now. Basically, it is the ultra cool new kid who just moved in on the corner, and he has all the latest cool stuff that all the other neighbourhood kids want. Samsara ELD is cloud-based and supremely reliable. Samsara is user friendly, a snap to adapt to despite her plethora of useful and utilitarian features. Samsara ELD might be the new kid on the block, but it is quickly becoming the Microsoft/Apple of the mandated compliance device field. I mean, lets face it: if you are an intelligent, well-informed fleet manager or driver here in the grand old country of the U.S. of A., you need to find yourself a cloud-based ELD BFF For Life. The Samsara ELD will save you money, in comparison to its many competitors. And it will still manage to provide access to the very best sensor data possible for your vehicle fleet. Between the ELD hardware and the office tools provided by Samsara to its customers, what you will be receiving is a proven solution for increased organization within your company. 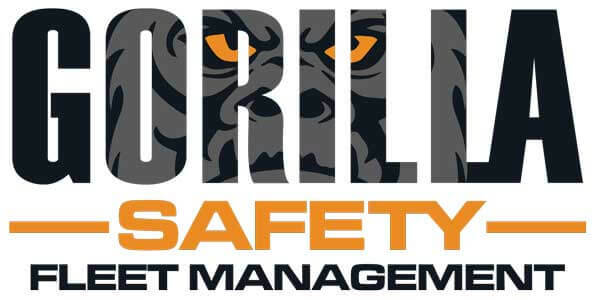 Also, higher quality safety measures and more efficient operation within your fleets. The Samsara ELD is certified by FMCSA (The Federal Motor Carrier Safety Administration) to meet all requirements. I don’t know about you, but to me that seems kinda essential. Essentially, Samsara designed their ELD device to offer compliance with FMCSA regulations, at about half the cost of previous standards in the ELD market. When being used on a tablet, the driver app sometimes freezes. The durability of the actual hardware leaves something to be desired. Samsara’s contract is reported to be inflexible and heavily bent in favor of the company as opposed to the client. GPS tracking reports have been found lacking in important detail. Video retrieval in general can be extremely unreliable. Competing ELD products, which are priced similarly to the Samsara ELD, simply cannot hope to compete with the quality, function, user-friendliness, and high standard of client satisfaction inherent to the Samsara ELD. Samsara has produced an extremely high quality product in the word of electronic logging devices and transportation. For more info about Samsara ELD, you can read here our full review for Samsara ELD. In trucking compliance, J.J. Keller is a very known and respected name. In the 50s, they effectively created the paper logbook. So it makes good sense for them to have on the market an ELD product. You can automate driver service hours with little risk using this device. The device cost $6 a month, plus an onboard recorder one-time fee of $ 199. If you were genuinely interested in E-Logs but also worried about the cost of implementing them, now you can take a closer look. Put the expertise of J. J. Keller e-logs to work for you. While the long list of its unique features can go on and on, we've highlighted the JJ Keller E-log's four most important features. To get up and running with E-Logs, J. Keller continues to offer a simple, flexible and affordable option. Their feature works with all classes of vehicles and makes it much easier to satisfy the requirements of Hours of Service. Furthermore, with free J, drivers can use their own smart devices (iPhones, iPads or Android tablets and smartphones). 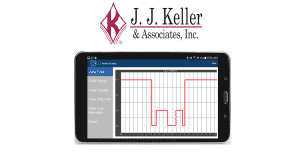 J. J. Keller® Encompass® Online fleet management system performs audits and generates reports from ELogs driver. The system could also be accessed at any time by fleet management, while installation is simple and easy with its self-guided set-up. If you've set up your driver roster, you can select the Service Hours rule set that will be followed by each driver. You can see compliance information immediately and significantly reduce your risk of DOT breaches. Get in touch with the company to discuss the price of the ELogs Edition, or to learn more features that you can upgrade, including mapping and driver qualification. Our Final takes on this product. E-log with Encompass is an industry-leading solid product from this company. Encompass may be particularly attractive for fleets seeking to go beyond logs and improve compliance across the board. But carefully evaluate the pricing and consider value in return for your money before standardizing these offers. 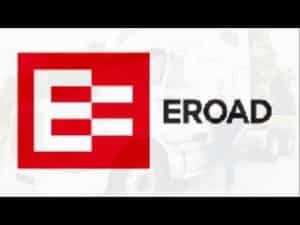 EROAD is a cloud-based fleet management platform that provides; fleet tracking, tax compliance management, an electronic logging device (ELD), and compliance management for security. EROAD Ehubo is implemented to help trucking companies handle and monitor their fleet while helping to maintain electronic compliance, EROAD features tools for auto data capture, real-time notification, and tax and audit reporting. The software integrates for in-vehicle data recording with a proprietary, robust EROAD ELD touchscreen device. The ELD designed explicitly as an all-in-one unit with one cable inserting into the diagnostic port of a vehicle. Using a 3-wire installation system, and a different data capture technique, the device can also be used in older vehicles along with the ECM connection. The practical alternative installation approach allows the units to be used by fleet owners with older vehicles. The EROAD is distinctive since it can effectively track and record the required data, regardless of the installation technique used. The device was created to be clearly understood and used. Drivers find this user-friendly device capably intuitively designed. They have no trouble trying to navigate through the operational features of the electronic logging device from performing daily tasks to using complicated tasks that include editing logs. The product also features bank-grade security and safety that helps protect data and ensures that owners and managers have absolute control over all data entered in addition to retention of ownership. EROAD is known as the Depot and is easy to use as well. The system includes necessary tools that suggest editing logs and assigning unidentified driving times. For fuel efficiency and tax reasons, the EROAD was initially designed to track vehicle distances. The device is therefore properly equipped with ideal reporting tools for IFTA. The ability to detect and claim fuel exemptions reliably provides significant savings for many vehicle owners. The considerable number of features activated by this product depends on the price package selected by vehicle owners. Clients do have the option to choose models with the most desirable features. The base unit is $35 per month. The sale price for associated features and Total Fleet plans goes up to $60 per month. A mid-range package costs $45 a month and comes with many core features, the Total Tax plan, and other extra features minus the advanced capabilities of fleet management. Customers must pay an initial activation fee of $35 — the alternative ECM cable cost around $65. Furthermore, when a client selects one of the plans mentioned above, there are no other costs for the EROAD. This product is indeed a top-notch ELD, and as additional features added, it will only continue to become much more attractive. Fleets looking for a long-lasting and reputable all-in-one system with compliance, reasonably accurate tracking, and outstanding fuel tax capabilities cannot really do much better. In addition to that, the sturdy hardware, affordable monthly pricing, helpful support and it is a top-shelf option that should be taken seriously by anyone on the market. Switchboard is regarded as one of the leading providers of ELD/AOBRD technology. Their services aimed at trucking companies, owners and small fleets. Typically, they offered their product and services as all-inclusive packages. The same applies to Switchboard ELD. They present a free logging app for drivers, along with the onboard BYOD recording device, which could be successfully installed on smartphones or tablets. But it's only available for Android devices at the moment; a solution compatible with iOS is coming soon. You can buy a dedicated Switchboard tablet if you don't have your own. Whether you're using your device or the official Switchboard tablet, connecting it to your vehicle's engine module via Bluetooth is necessary. 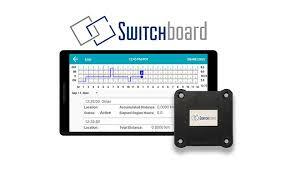 Switchboard offers highly reliable Bluetooth connection as opposed to most ELD options. 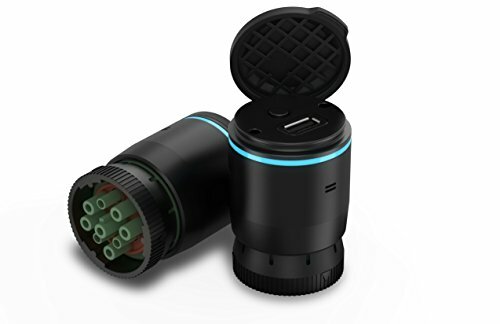 Something that we like so much about this product is reliable Bluetooth connection, user-friendly sleek design, cheap pricing, well-designed web portal as well as easy-to-use tools to correct and view driver logs. Log editing is a little awkward, but it's not really a big issue. Clients can consider buying an optional $ 250 Switchboard tablet, and they can also use their own smartphone/tablet. Customers also have the option to access the web portal of the Switchboard. Often, trucking companies or individual owners can do without it, and they have no monthly costs. Also, Drivers can use their own device's data plan or purchase one for $15 per month on the Switchboard tablet. In summary, with a lot to offer, Switchboard has designed and built a very smooth, user-friendly ELD. The brand is still quite new, so some features still need to be added and also some areas need to be improved. And yet it still features sturdy hardware, useful software applications, and a credible feature list at a very attractive price point. Switchboard will be pretty hard to beat for those interested in keeping down costs while still getting a driver-friendly, high-quality ELD. Verizon Telematics formally announced in 2017 that bundled products would be capable of meeting the needs of truck fleets needing solutions for electronic logging devices. The ELD-ready Verizon Telematics packs are designed to support specific technical requirements and serve as a "one-stop solution" for those who need to comply with the requirements of the ELD mandate. Verizon ELD device also offers safety monitoring tools such as Location tracking, fault code closely monitoring, efficient and reliable route management, and speedy identification of dangerous driving behaviors before terrible road accidents occur. This ELD expertly tracks and records the time spent idling by each driver. Using this data, you can accurately identify drivers that remain idle for far too long or too often. Excessive idling tracking can save you hundreds or thousands of dollars each month on fuel. Verizon ELD device ensures drivers do not continue to drive more than the hours they need to operate. Other HOS breaches such as outdated log violations, Form & Manner violations, and log falsification eliminated with this e-logs. Fleets with ELDs receive better insurance costs than those fleets without ELDs. Furthermore, since Verizon ELD comes with integrated GPS tracking features, the risk of a stolen or hijacked vehicle is much lower. With GPS tracking, Verizon ELD allows fleet managers to track vehicles. They don't have to call the vehicle drivers each time they want an update, as they can easily monitor the whereabouts of the vehicle. Both the managers of the authorized back office and the driver can make the necessary edits to an existing ELD record, such as adding missing data or correcting any incorrect entries, but all edits must always be accompanied by a note telling the specific reason for the edit. With Verizon Connect, which is incredibly strong in safety, compliance, and efficiency; fleet operators in need of a comprehensive and detailed FMS that collects all tasks and data on the same platform will be well served. This FMS may not be cost-effective for operators in need of a more basic system, but others should be entirely satisfied. BridgeHaul is a Transport Management Solutions (TMS) and automated 3PL technology that empowers owner-operators, shippers, carriers, and offers a fresh approach to logistics with, customer-rated drivers and shippers market-based broker spot rates, advanced monitoring and algorithmic load searches commitment. Source instantly with a click of a button from a network of thousands of carriers. BridgeHaul brings to the table a free, automated 3PL TMS that allows you to ship at broker spot market rates while all paperwork is fully automatic. BridgeHaul provides real-time shipment tracking, electronic BoL and PoD designed, and easy dock scheduling to save you hours every day. There have been no upfront device costs when you subscribe to the $15/month annual plan. 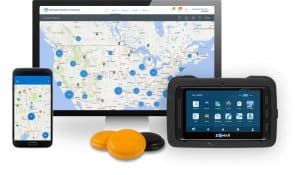 This service includes all features like GPS tracking, Diagnostic Reports, IFTA, DVIR, Dispatch, Idle Time, and Payroll Tracking that are found more commonly in more expensive telematics solutions. Inviting drivers and adding vehicles takes about 10 minutes to set up. The hardware directly plugs into the vehicle's diagnostic port and connects the driver's mobile app via Bluetooth. Any Android or iOS mobile device can be used by drivers to connect and pass on information to the fleet in real time. On most other ELDs there are a host of additional features not available, such as a truck stop locator with truck-specific routing and direction - All these features are available in this eld app. For electronic dispatch and automated ETA calculations, load details can also get sent to the driver mobile app from the carrier dashboard. Drivers can specify when loads are picked up and delivered to reduce most back office work. The carrier tool report section enables fleet managers to see just how many miles driven, how many hours of work, and how much revenue generated over time. The reports cover metrics of operations and finances. In summary, at one of the cheapest price points on the market, BridgeHaul provides a modern, feature-packed solution, making it almost impossible to beat. The user-friendliness and functionality are remarkably better than most of the other market solutions we've found. BridgeHaul is probably one of the best quality on the ELD market because of its price point, reliability and full-featured dashboard for fleet administrators with the user-friendly advanced interface, and drivers on the google play store and Apple App Store give it some excellent reviews. In late 2014, Zonar launched its Android-based electronic logs product running on its proprietary "2020 Tablet". Zonar has gained market momentum by signing one of the largest commercial fleets in the United States - Knight Transportation. The Hardware with a multi-year service contract does not have an upfront cost, but it could be a costly option at $70 per month. It can be a long and arduous process to install the Zonar 2020 ELD. When hooked up to the ECM backbone, this thoroughly wired system is better than the JBUS diagnostic port. And this can be somewhat difficult to overcome for fleets with a continually changing lineup of Owner Operator or rental trucks. Zonar 2020 came with such a dedicated Android display tablet that includes proprietary software from Zonar. The device hardware built robustly, and also the touchscreen is pretty precise and responsive. The interface is advanced and sharp, but not user-friendly, so at first non-tech savvy drivers might find it somewhat hard to use. The software for the back office web not professionally designed. The process of creating log corrections in the back office is cumbersome for office staff and confusing and tedious is the driver's process to approve edits made to the log. The development team of Zonar promised to take a look into this issue and resolve these and other issues. We will review this version if and when Zonar releases a newer version. Small RFID tags are stuck at different inspection locations on the truck and trailer. A driver can now take his Zonar device and scan each of these RFID tags to complete their vehicle inspection. And this makes it much easier for the driver to fill out each part of the inspection, while also making sure that the driver looks at each section of the vehicle that requires check physically. This feature could be of value to fleet managers seeking to enforce better pre-and Post-Trip inspections and optimize their proactive maintenance. This EVIR feature is available as an add-on to the ELD system from Zonar 2020. Zonar is new to the HOS / ELD industry, so it's no surprise that customer service team is one area in which Zonar can still improve. Different user reports indicated that Zonar support representatives did not appear to be trained about the ELD requirement itself or on the rules of the Hours of Service. If this improves, the review score will be updated. Overall, we have quite high expectations for Zonar and believe that we will continue to see them refining their product and improving it into a top-notch solution. It would really help drive progress by having this solution on board. This solution is a little new, and in the HOS arena, the company is a bit green. However, this is an excellent ELD product already, with the potential to become a high-quality product. 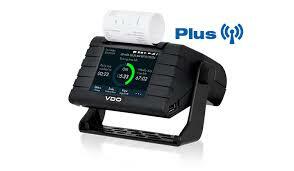 VDO RoadLog ELD Plus is a VDO upgrade from the RoadLog ELD. The ELD Plus adds wireless access and a variety of functionalities that are not present on the RoadLog ELD. The RoadLog ELD is a stand-alone unit designed explicitly for small fleets and individual truck drivers that do not share information with the back office wirelessly. This device has cell capability for sending logs and other data over the air to the back office. It runs as well on well-respected and reliable RoadLog platform as the older product. It also has the integrated thermal printer that makes it possible for a driver to speedily print out a paper log during an inspection on the roadside. Like the RoadLog ELD, with a single cable, the ELD Plus is hardwired to the data port. The RoadLog ELD Plus is designed for simplicity, just like the RoadLog ELD, so it has limited telematics features. It performs logs, DVIRs, GPS tracking, and IRP/IFTA reporting automation. It offers text-based messaging options to and from the fleet office, travel management, and remote load and driver monitoring. It offers no options for navigating GPS, scanning documents, or diagnosing engines. So the focus for this is clearly on simplicity and affordability without some of the bells and whistles offered by other systems. Despite the simple design, the VDO RoadLog ELD can eliminate many problems that mobile apps with the E-log are likely to create. And this means that you won't mess with problems such as exposed personal data, cell plan overages, battery overheating, unstable Wireless connectivity, and HOS gaps. In the event of malfunctions, you will be backed up by US-based technical support. Also, a comprehensive distribution network will be provided to you that covers the major regional truck dealers. Relatively speaking, the RoadLog Plus is based on solid, durable hardware, and over time it has the potential to grow and add more features. Customers had some concerns about the support experience, particularly during most of the busy period immediately after the mandate due date, but things appear to be improving on that front. If the item keeps moving in the right direction, this would be an effective ELD for fleets to consider due to the unique ability to print logs physically. For nearly two decades, Blue Tree Systems have been in the telematics industry. Their target market is large fleets, and this solution produced with reefer monitoring in mind. Blue Tree feels very innovative in the latest generation of ELDs and fleet management products. The device connects to the BT500 hardware of Blue Tree via WiFi, which connects to the vehicle for recording movement and engine data. Also available are most of the advanced features that a driver might expect: logs, engine codes, IFTA. DVIRs, messaging, navigation, etc. The app feels relatively modern and easily understandable. Despite the relatively high price of this ELD, it is surprising that drivers are still unable to logs email or fax from their tablet. Also, it's not easy to see the daily recap hours for the coming week. The Android app makes it possible to use the system on a personal phone device, but for now, it does not support HOS recording. Blue Tree's new fleet management solution is still under development for back-office users. The price point may well be a tough pill for individual operator and fleet managers to swallow, considering the work-in-progress impression the software creates. The upfront hardware cost is one of the priciest in the eld industry at almost $ 1000. This production cost is for the Garmin option of the BT500 hardware. It's even more costly to go with TomTom. There's a $40 per month subscription fee. If you enter into a five-year contract, it will cost you around $60 a month for the hardware and service. Some larger fleet budgets may go well with this option, but many smaller clients are likely to be driven away. First, behind the dashboard, the unit can be fully installed, making it even more covert and impossible to tamper. Blue Tree still provides some unique features that could make some fleets worth the price tag. Drivers are equipped with advanced truck-specific navigation because the system runs on Garmin and TomTom. The app also features some impressive tools such as HOS coaching. It is intended to help individual operators and drivers make the most of their driving time and plan their day. CarrierWeb is a long-standing multi-national transportation technology company. CarrierMate is their main telematics trucking product. There is quite a vast range of models with different resolutions and operating systems, but all over the board, the experience is similar. The systems provide us with the modern features that you would expect to see: DVIR, messaging, tracking GPS, electronic logs, reports on IFTA mileage, etc. ALK CoPilot GPS navigation is available, but it costs an additional $7/month. The unit tracks engine working and idling hours on an ongoing basis. And this has been demonstrated to help drivers improve their driving skills to improve fuel efficiency. You would be able to get such a quick summary of the entire fleet anywhere you want with these gadgets installed in your vehicles. The product would also enable you to plan your vehicle maintenance. You will find the ELD's maintenance management module very useful in this regard. CarrierWeb also possesses a relatively long list of advanced features beyond the basics. Document scanning is easily accessible by adding (not included) a Docuport mobile scanner. Fleet managers will appreciate the driver performance tracking tools, route geofencing alerts, and comprehensive vehicle diagnostics capacities. To capture exact local speed limits the system can be linked with Speed Gauge and warn of speed offenses (for a small additional monthly fee). Drivers can also use their smartphone's companion app to send and receive notifications while away from their vehicle and perform DVIRs. While CarrierMate has many features, it feels somewhat outdated by the technology itself. The ELD display software looks very much in the 1980s. It is undoubtedly not the slick, modern interface in the smartphone-style that many of the present ELD vendors adopt. But this is not a bad thing. The straightforward user interface might be even more comfortable for drivers that are not used to new devices. However, there are similar problems with the back office system for fleet managers. There are many features, but the user interface functionality feels back-to-the-time and can be hard to use. Complex tasks are often quite cumbersome, such as editing driver logs. 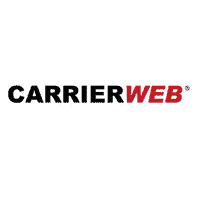 CarrierWeb is a reliable, reputable company. All their other product is relatively affordable and will appropriately serve the needs of many fleets. Although not flashy, its advanced features may make CarrierWeb attractive to business owners seeking to achieve particular goals further than just compliance with ELD. In addition to making the process much more comfortable and user-friendly, the customer experience needs significant improvement. CarrierWeb is an ELD worth looking at, and it should be considered along with some other possible options. When it comes to pricing eld manufactures tend to deceive drivers. Many advertise low monthly fees of $15 and $20 per month. However, when you look more into things, you find out that in order to quality for that price , you must sign up for long term contract. In addition, many charge hidden fees for other services such as ifta reporting ,etc. Other eld manufactures such as Garmin, will not have any monthly fees. However, the driver will be forced to put up the hefty initial investment of $250. For my truck, i choose the garmin elog. For my second truck , i opted for the low monthly cost despite the initial cost in order to avoid the 3 year contract. For quite a while now, there was a great misconception about ELD devices. The rumor is that they invade the driver’s privacy. Rest assured that is not the case. There are many out there who think ELD devices will invade their privacy. The reason is because it seems like its continuously tracking the location. That is false assumption. The eld manufacturer does not know the current location of every driver. ELDs track the driver's location. Yet, only fleet managers are able to view this information. Also, none of the ELD devices are always tracking your location. It only starts tracking whenever the vehicle's engine is running.There is no way to store constant tracking --too much information. Despite all of that, the FMCSA recognizes the drivers' concerns about their privacy. Therefore, it is implementing a privacy clause in the ELD mandate specially for this issue . This complete guide on ELD Devices includes a lot of information. We hope that this guide included all of the information you were looking for. Now it’s up to you to make your choice and decide. Whichever one you decide on, will surely live up to its name and serve you well!